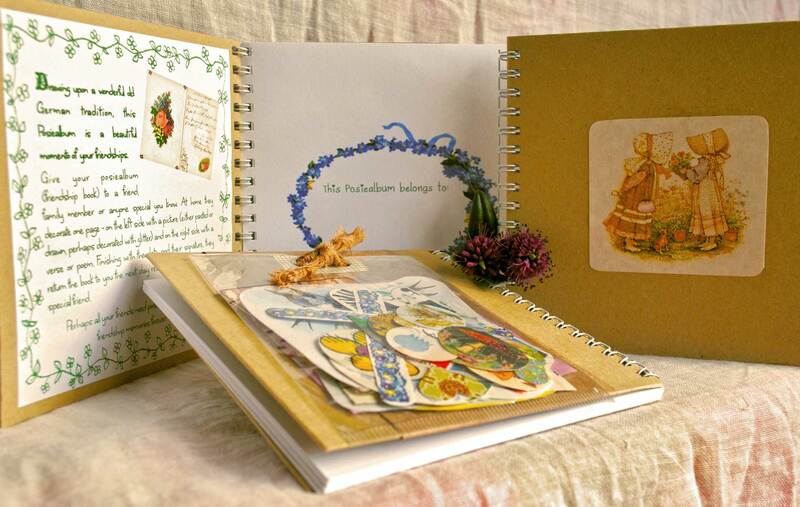 Drawing upon a wonderful old tradition, this Posiealbum (Friendship Book) is a beautiful momento of your friendships. 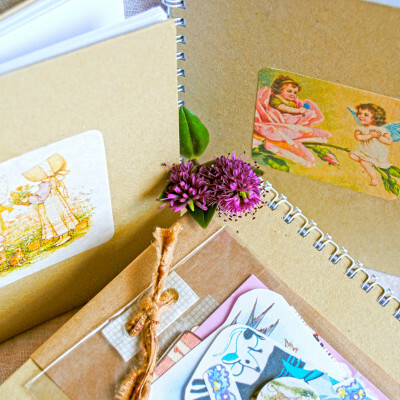 Drawing upon a wonderful old German tradition this sweet little Posiealbum (Friendship Book) is a beautiful momento of your friendships. Give your Posiealbum to a friend, family member or anyone special you know. 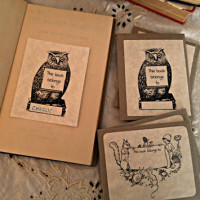 At home they decorate one page – on the left with a picture (either pasted or drawn, perhaps decorated with glitter) and on the right side with a verse or poem. Finishing with the date and their signature, they return the book to you the next day ready to pass onto your next special friend. 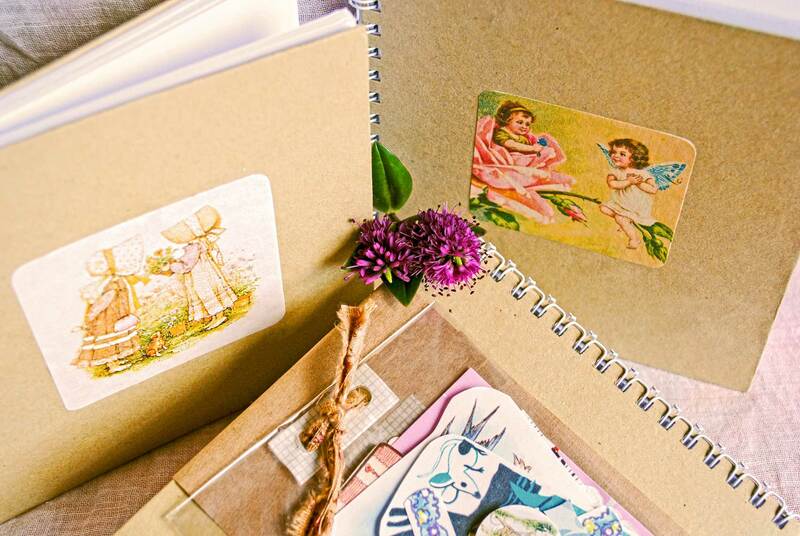 Handmade, spiral-bound, covered in kraft paper featuring a sweet vintage image of childhood friends, these quality books measure 14cmx14cm and include 25 thick, blank white pages, a title page and how-to-use page. Each book comes with a pretty package of assorted, original cutouts from old children’s books, hearts, stickers, coloured paper and doilies which can be used for creating beautiful pasted designs within the book.